Nainital Tours & Package Since 1999 – a Leading Travel Agency of Uttarakhand - Nainital & Mussoorie. We cover almost whole Uttarakhand (Nainital, Almora, Bhimtal, Satal, Naukuchiatal, Kausani, Ranikhet, Pangot, Bhowali, Khurpatal, Ramnagar (Jim Corbett National Park) Mukteshwar, Mussoorie, Rishikesh, Haridwar & Auli). We are the Top & Key travel agent in Uttarakhand - Nainital & Musssoorie and we can make your tours unforgettable. We also deal in Jim Corbett National Park which is just 60 kms from Nainital. Nainital – a place of Lakes, Mountains, Adventure, Nature walks, Tranquility, Beauty, Charm and Hospitality. 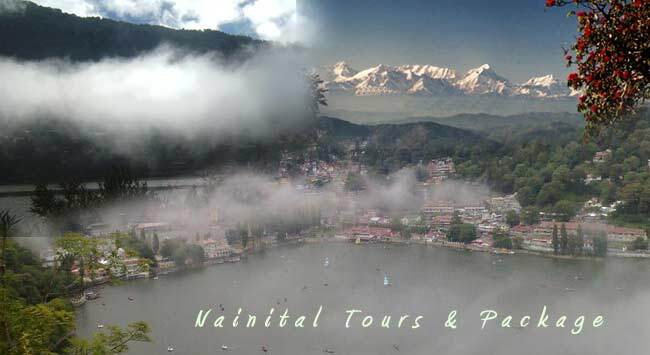 Nainital Tours & Package initially began operations as a proprietary concern way back in 1999. With an in depth understanding of Local region and the Tourism industry, Nainital Tours & Package has emerged to becoming the largest Tour Operators in the region. We believe to provide the best tour in the travel industry in terms of tour planning, tour cost, hotels suggestions and hotel bookings, car & coach rentals, travel assistance, travel information and sightseeing. Our team of honeymoon experts is here to help you make YOUR honeymoon as romantic and as memorable as can be. We have handpicked the properties on our site to ensure that they are up to honeymoon standards and that they deliver value for money spent. We've also chosen the destinations featured with great care to make sure that we include only those that can make your dreams come true. From the most luxurious hotels and resorts to small and large properties for budget conscious couples. We'll help you find just the right spot for the two of you and give you insiders' tips to make the trip hassle free, we'll help you make sure that your wedding trip will be just as your dreamed it.